Eight hydrometers 500-231 thru 500-238 below, covering the range from .700 to 2.000 A thermometer range 0/230 °F is included. Supplied in a sturdy foam cushioned case with carrying handle. .070° Specific Gravity ranges, 6″ length. Made to the same exacting standards as ASTM hydrometers, these units have found wide application due to their slightly longer, overlapping ranges. Accuracy to +/- .001 Specific Gravity. 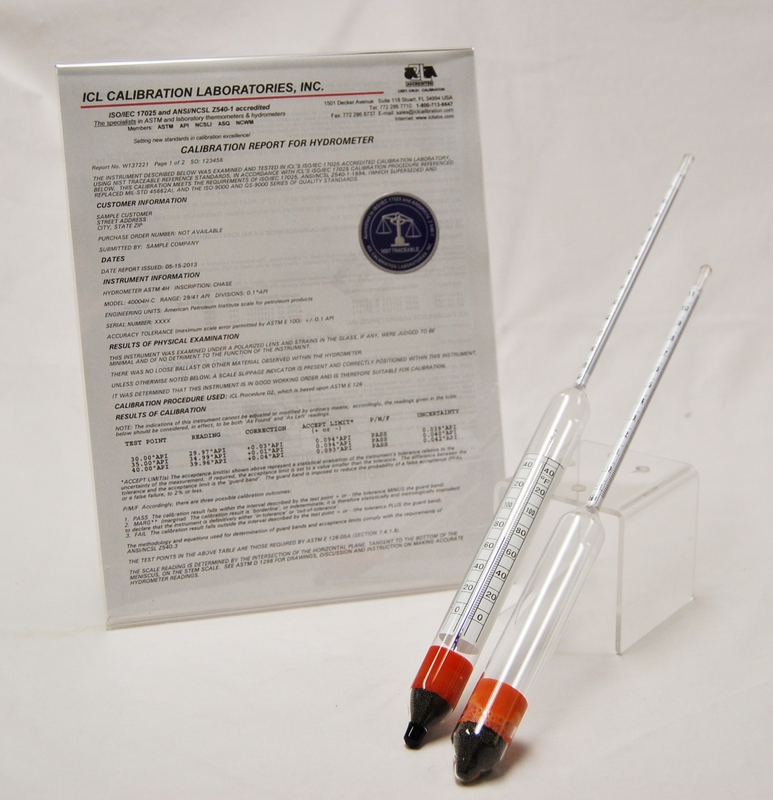 .070° Specific Gravity ranges, 13″ length. Made to the same exacting standards as ASTM hydrometers, these units have found wide application due to their slightly longer, overlapping ranges. Accuracy to +/- .0005 Specific Gravity.